Here you can buy any of our single origin range coffees as pre-roasted green beans. 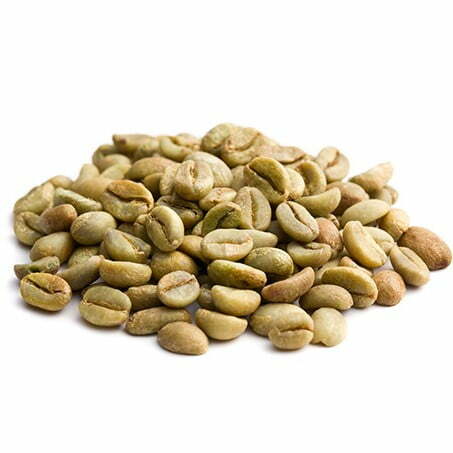 Green coffee is simply coffee beans that haven’t been through the roasting process. Before roasting, the pulp and mucilage (outer skin layers) are removed from the beans and they are then put out to dry. This is what gives the beans their pale green colour. Once they have dried, they are usually distributed to roast. Green beans skip this step and are sold in their raw, unroasted form. How do I roast at home? Depending on which method you use will depend on the amount of green coffee you use and how long it will take. What are the benefits of roasting coffee at home? Roasting at home may sound too time consuming and unappealing to some. However, there are so many benefits to roasting your own coffee, some of which you can find below. Choose exactly how many beans you roast and how long you roast them for to bring out the different flavours. Experiment with different lengths of time to find the exact flavours you like best. Opt for a shorter roast time for a lighter taste or leave for a little longer to get a more caramelised, deep flavour. Although we always deliver our coffee freshly roasted, there is nothing fresher than coffee that has been roasted the same day. When stored in an air tight container unroasted beans stay fresh for up to a year, which is much longer than those that have been roasted. Buy in large quantities without having to worry about losing any flavour. You are in control when it comes to roasting at home, so roast the exact amount of coffee you need and leave the rest in the container, which means less wastage. This is also a great way to save money. You can roast at home whenever you want, rather than pre-anticipating when you will want some coffee, ordering it online and waiting for it to arrive. It is a much quicker process than you might think, only taking around 10 minutes for small batches. Roasting at home immerses all the senses. Smell the aromas that will fill your kitchen, see the beans turn from a pale green to a deep chocolate brown, hear the beans crack and expand and feel your mouth water in anticipation.